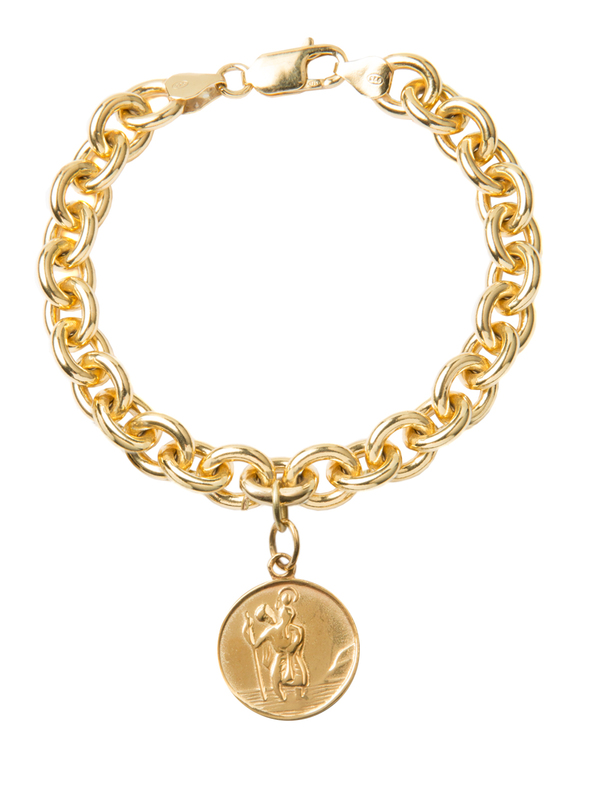 An absolutely stunning gold chunky linked bracelet with the addition of a gold plated St Christopher charm measuring 2cm in diameter. The bracelet, which is heavy, chunky and wonderful is 1cm in width and made of solid sterling silver with a 23.5KT gold plating. A bracelet for life!